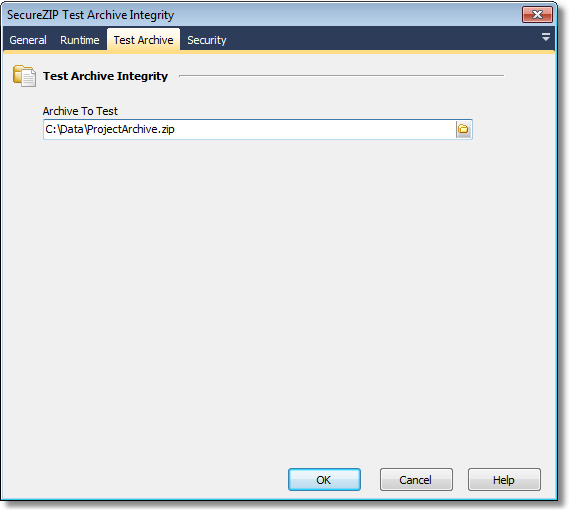 The SecureZIP Test Archive Integrity action tests an archive to ensure that there is no damage that could prevent extraction from occurring. Simply specify the archive that you wish to test. from the Test Archive page. SecureZIP tests the archive by extracting the contents without writing the items to disk.